Since the Big Brother Naija, Double Wahala show begun, housemate Ahneeka, has been one to be quite reserved and all but she eventually lost her cool last night after Teddy A made a comment to her. 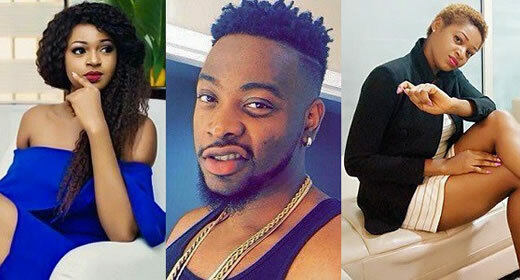 Just some minutes after Friday night’s Payporte Arena games was concluded, Teddy A simply told Ahneeka, to not be silly – this, Ahneeka misintepreted and all hell was let loose. Ahneeka, with immediate effect flared up and began blasting Teddy A, saying he has no respect for women and all, she displayed all vulgarity by saying he’s ‘f**king stupid’ on the live show. Ahneeka was blazing hot as she brought the heat in the house like wild fire with Big Bitto trying to cool her off but her fire just won’t quench.